Egypt’s parliament speaker Ali Abdel-Aal told MPs on Monday that he is keen to listen to their comments and remarks on proposed amendments to Egypt’s 2014 constitution. “We want a dialogue without barriers, but at the same time this dialogue should be within the limit of the amendments submitted by the majority MPs on 3 February,” said Abdel-Aal. “For example, when I was in Aswan last week, citizens asked me many questions such as what is the objective of the proposed constitutional amendments, and why should they be submitted at this time,” said Abdel-Aal. “As a constitutional law professor and a specialist in this respect, I can also give you good answers to tell to citizens in your own districts,” said Abdel-Aal. The two-hour debate, held at the meeting hall of the Shura Council, showed that there is a lot of rejection of the amendment that aims to give a greater quota of parliamentary seats (25 percent) to women. Mostafa Bakri, an independent MP and a journalist, said there are a lot of reservations that the quota of seats reserved to women in parliament be increased to 25 percent. Besides, said Bakri, some amendments need more explanation, such as the one aimed at reinstating the Shura Council. 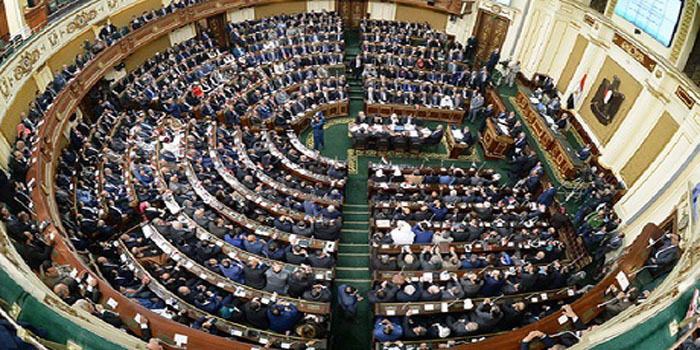 The parliament speaker is expected to hold another internal debate with MPs representing Alexandria and the Nile Delta governorates on Tuesday. On Wednesday and Thursday, there will be three hearing sessions with representatives of political parties, civil society organisations and public figures.